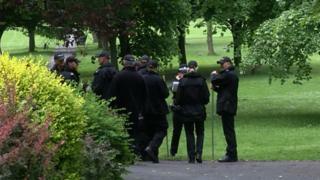 A £10,000 reward has been offered in connection with the murder of a newborn baby who was discovered with head injuries in a park. Baby M's body was found in a bush in Manor Park, Aldershot, on 19 May 2017. Police believe the girl, of east Asian origin and no more than six hours old, was dumped up to four days earlier. The Crimestoppers reward is for information leading to a conviction in the case. It is understood the girl was born in a bush near the scene. She was left in the park sometime between 18:00 BST on 15 May and 08:00 the following morning. Her body was found by a grounds maintenance worker, Crimestoppers said. Regional manager Emily van der Lely, said: "This is a particularly distressing case and one of the worst I've ever been involved with. "Witnesses have... spoken of seeing a woman of Asian origin acting furtively in the area where the body was found and also three men of Asian origin seen on the morning of the 16 May." 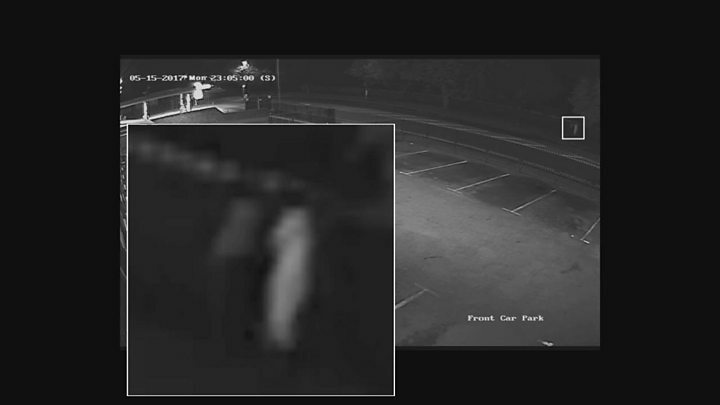 Previously Hampshire Constabulary released CCTV footage of two people walking up and down nearby Ash Road 10 times in an hour on the night of 15 May. Crimestoppers said its reward would expire on 25 May.